When the owners of Northeast Remediation decided to delead all of their rental properties, they tried to find lead paint remediation professionals to handle the work. Unfortunately, they quickly discovered that there was a severe shortage of capable, dependable and trustworthy companies to perform the necessary remediation. Instead, they found a ragtag collection of small remediation firms that were unreliable and often did shoddy work, damaging moldings and destroying irreplaceable woodwork. Worse, many of the firms cut corners and took short-cuts when it came to achieving compliance. It quickly became clear, if we wanted to remediate the hundreds of rental units owned and managed by the owners of Northeast Remediation, we had to form our own lead paint remediation company. This is how Northeast Remediation was born. 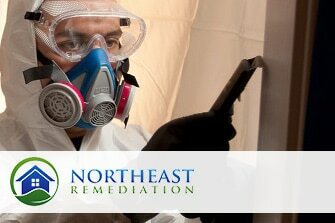 Since its formation a few years ago, Northeast Remediation has brought a new level of professionalism to the deleading industry that was desperately needed. Each employee has a unique set of skills, and together, they can perform any method of remediation necessary. 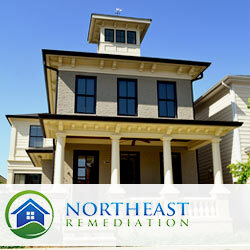 Equipped with skilled scrapers that specialize in detailed moldings and wood work, to carpenters with over 20 years of high end experience, Northeast Remediation can offer a level of finish work that is difficult to find in other companies. Our staff is comprised of highly trained, uniformed and bonded employees that all have the highest lead paint removal certification available. Northeast Remediation carries a number of licensing, including: Deleading Contractor License, Home Improvement Contractor License, OSHA10, OSHA30, CSL, Deleading Supervisor, Deleader Worker, and RRP licensing. 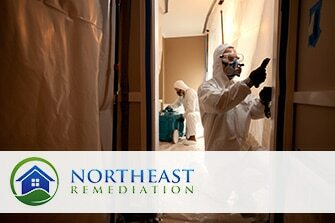 As the fastest growing lead paint remediation company in the industry, Northeast Remediation has the size to handle any job, large or small, and the flexibility to work around our client’s schedules. By hiring Northeast Remediation, you are hiring a company that is transparent and diligent with completing work in a timely manner. Unlike other remediation firms, we offer a personalized app that allows you to view the progress being made on your home, and view pictures of the work being performed. The amount of transparency provided by Northeast Remediation gives our customers a sense of comfort and security knowing that we are working efficiently, safely, and within Massachusetts guidelines for remediation. Northeast Remediation is comprised of supervisors and workers that have years of lead paint remediation and mold remediation experience. Our years of experience proves our willingness to provide our customers with the best lead paint and mold remediation services available in Massachusetts. Bryan Scott Ganz is the founder and CEO of Northeast Remediation, LLC with significant experience in managing a wide array of businesses. Bryan is also the founder of Scudder Bay Capital, a firm that owns and operates 250 rental units. Li Zhang is responsible for overseeing all projects and operations for Northeast Remediation including project walkthroughs and contract signings. Susan is our office manager and responsible for setting up walkthroughs. If you have general questions about lead removal and the process of getting your home tested for lead and have it removed, contact Susan. We serve the Greater Boston markets and more. Call today and let's talk about how we can help.